Cup Day in Scotland pitched us in battle with St Mirren at Love Street, a ground United had failed to win at in their last six attempts. After the terrible weather over the winter period, the pre-match schoolkids shoot-out was postponed to give the pitch a chance. 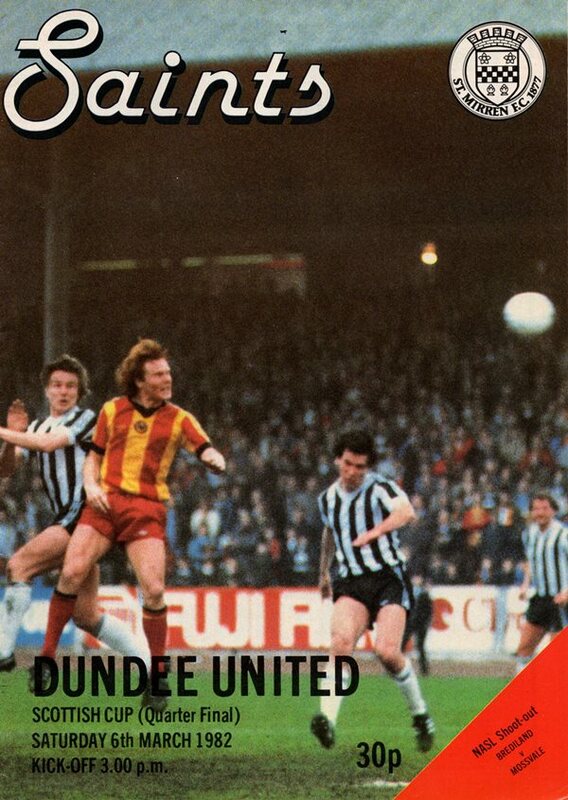 United's only change for this quarter final tie was Derek Stark in for Ralph Milne, who was out with flu. The visitors were first to threaten, with Richard Gough going close from a low Eamonn Bannon corner. Hamish McAlpine then saved well from a Frank MacAvennie header, with the Paisley striker receiving treatment for a bad head knock. (Holt booked). Paul Sturrock laid the ball off to Billy Kirkwood just inside the area, but his shot went the wrong side of the post, and at the other end MacAvennie went close again, shooting over after a good run. St Mirren had a penalty claim waved away by referee Brian McGinley when Frank McDougall went down in the box. Five minutes before the interval, Kirkwood sent Sturrock clear and the striker drew out Billy Thomson, but the keeper smothered the ball from Sturrock's shot. Just before the whistle, Sturrock again tried his luck from 20 yards, but Thomson dealt with the low shot. St Mirren came close after the break, with McAlpine holding on to McDougall's low shot. Davie Dodds then should have done better when the home defence were caught out with a long ball. 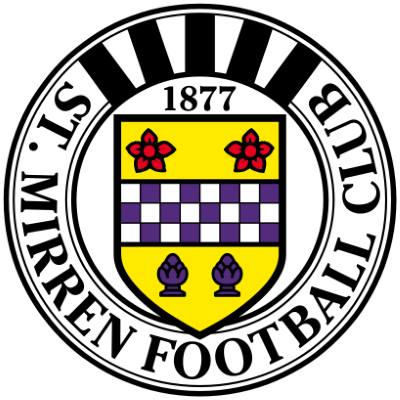 St Mirren then took the lead in the 69th minute, when an Ian Scanlon corner on the right was not cleared and Tony Fitzpatrick volleyed past McAlpine into the roof of the net from 20 yards. 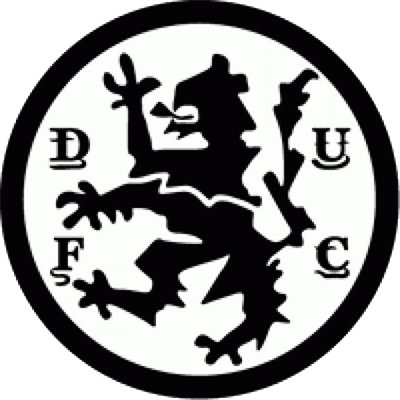 United failed to find any reply in the final 20 minutes and our interest in the Scottish Cup for the season was ended.